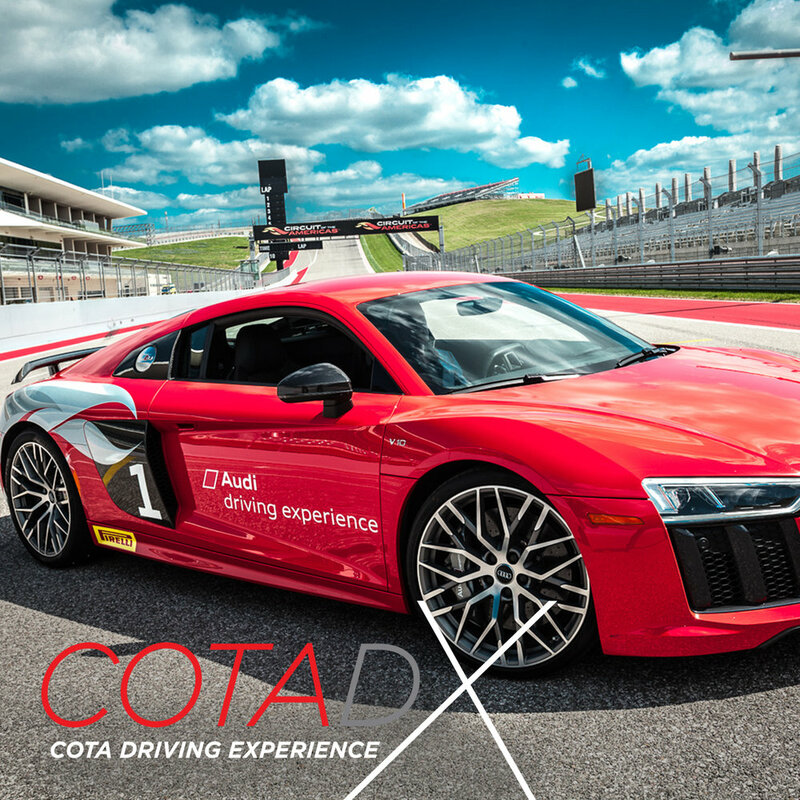 Get the chance to ride the COTA track for yourself with Audi, VW and Subaru experiences available! Find all of them in the Paddock on both Saturday and Sunday. Don’t let the world’s greatest rallycross drivers have all the fun. COTA and the Audi Driving Experience are offering TWO pulse-pounding adventures for World Rallycross attendees. Get behind the wheel of the TT RS for a drive around our club course with Arrive & Drive, or ride along for Hot Laps with one of our professional instructors in the mighty R8 V10 Plus. These programs are reserved exclusively for WRX attendees on Saturday and Sunday. Are you attending World Rallycross USA? If so, you’re in for a real treat! Ex-Subaru World Rally Team Driver and British Rally Champion, Alister McRae will be at the Subaru Ride & Drive event giving a lucky few winners the chance to sit shotgun with him on the actual F1 track while he goes flat-out in the DirtFish Subaru BRZ Rally Car! Stop by the Subaru Ride & Drive on Saturday and Sunday for your chance to sit alongside a true master! The Volkswagen Driving Experience is bringing the 2018 Ride & Drive Tour to the ARX Rallycross in Austin, TX! This exciting event will be at Circuit of the Americas, located at the rear of the WRX Paddock and near COTA’s Club Circuit. Participants will be given the opportunity to drive a new Volkswagen on the famous COTA Formula 1 track! Those who participate will qualify for Hot Laps with a pro-driver. Join us and experience what VW is all about! See you there! Featured Vehicles: Atlas, Golf GTI, Golf R, Jetta, Passat and Tiguan. Please Note: Participants must be 18 years of age or older. All drivers must be 21 years of age or older with a valid driver’s license. Participants will receive a free gift as a thank-you take away. Limit 1 per participant.